My youngest son has his class 'Show 'n' Tell' roster pinned to my desk calendar so I don't forget when it's his turn. This week the theme is 'Favourite food to make in the kitchen' so he let me know in advance that he wanted to make 'rumballs aka truffles'. 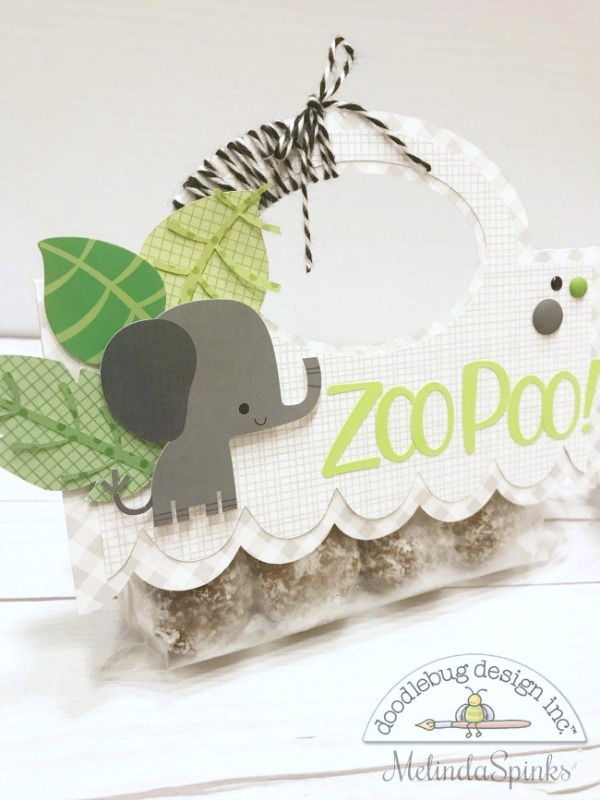 The next step was to work out a fun way to package the rumballs and we thought about doing Reindeer noses but one thing led to another and we decided on 'Zoo Poo', much to my son's delight. 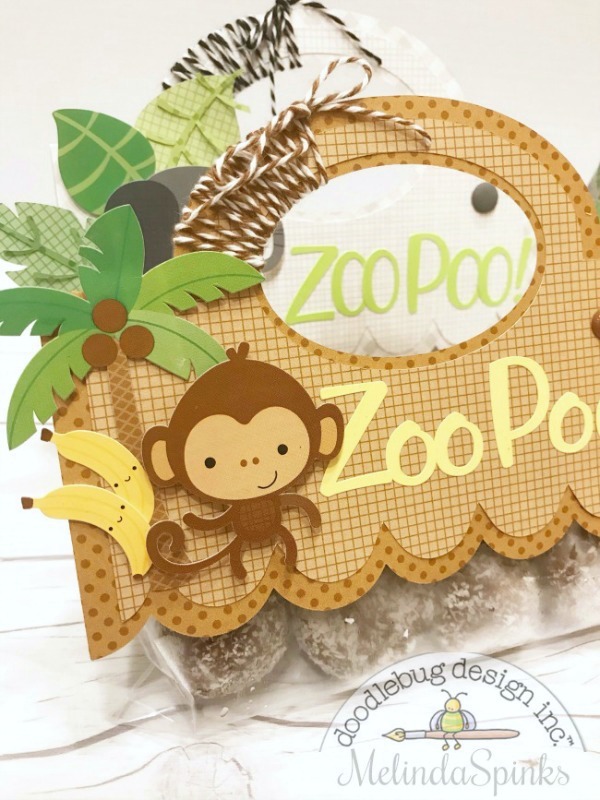 Fortunately I still had two full sheets of icon stickers from the 'At the Zoo' collection to use on the front of this sweet little Treat Bag Topper SVG cut file from Lori Whitlock. I made the topper 6" in width which was perfect for snack size zip-lock bags to hold four rumballs for each student. 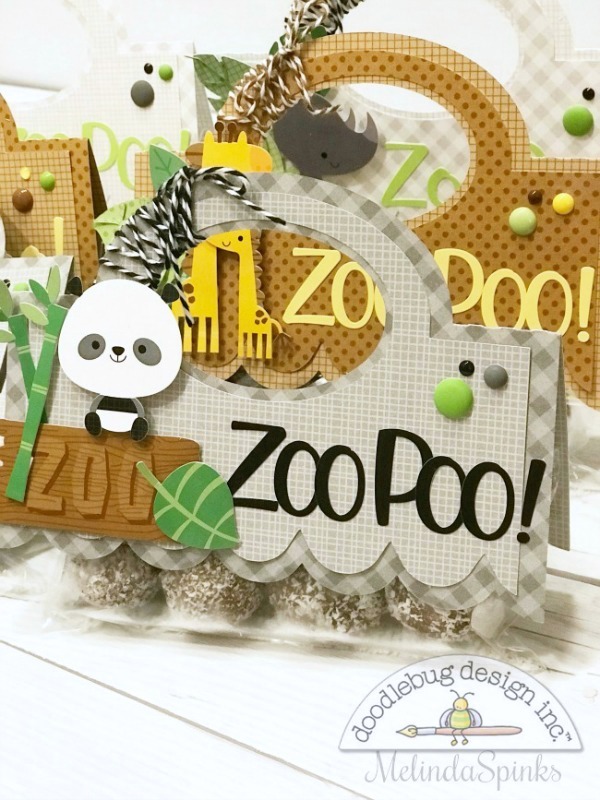 I also used three different leaf SVG cut files from the Doodlebug 'At The Zoo' collection to create more layers to the front embellishments and give that jungle feel behind each zoo animal. 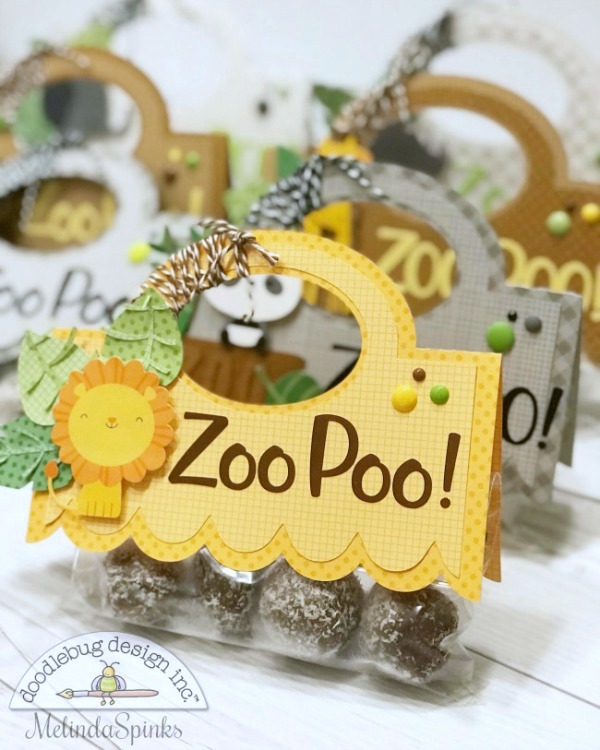 Just loving the brand new 'Abigail' font stickers that come in all the Doodlebug colours including a gorgeous silver metallic foil. So, I have made seven bags so far and have seven to go... half way there! I must admit they are fairly quick to make once I worked out the first design and cut out all my leaves and base plates. And believe me, I have one very excited little boy who cannot wait to have his 'Show 'n' Tell'. Haha, these are so cute! My son would've loved these! OMG.... these are fabulous!!! 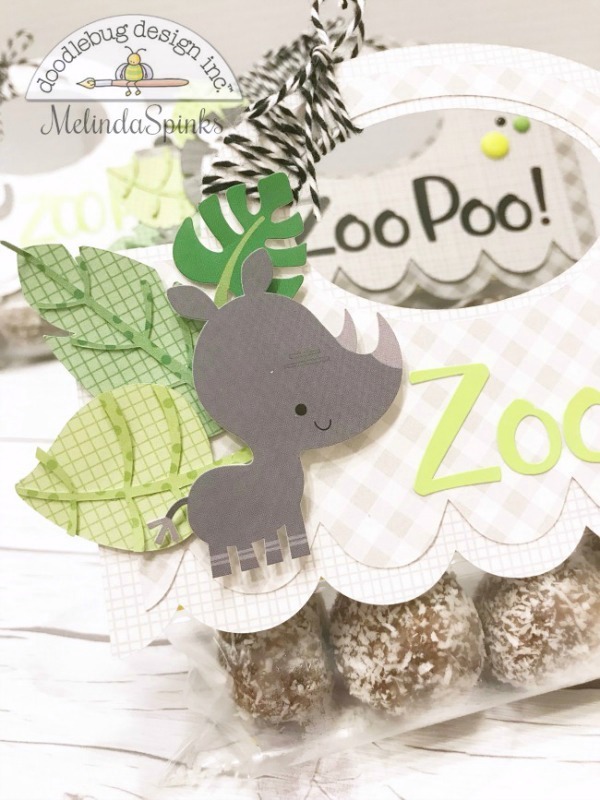 Zoo poop. You kill me. Hee-hee! These are the cutest thing ever. At first I thought it must be a cute Australian phrase, but then I started to read and I finally got it. Too fun and so clever. The kids are going to love it!